Have you noticed that the Facebook mobile app likely has entry to your smartphone microphone? A theory is around that the Facebook mobile app listens to your conversations for advertising purposes has created quite a stir on internet. But recently, Facebook denied all the allegations related to this matter. “Facebook does not use microphone audio to inform advertising or News Feed stories in any way. Businesses are able to serve relevant ads based on people’s interests and other demographic information, but not through audio collection,” Facebook said in a recent blog post. “We only access your microphone if you have given our app permission and if you are actively using a specific feature that requires audio. This might include recording a video or using an optional feature we introduced two years ago to include music or other audio in your status updates.” Facebook does requires microphone access to record and share live video for the Facebook Live feature. If you aren’t comfortable behind Facebook’s snooping behaviour having right the to enter your smartphone microphone, you can switch it off. 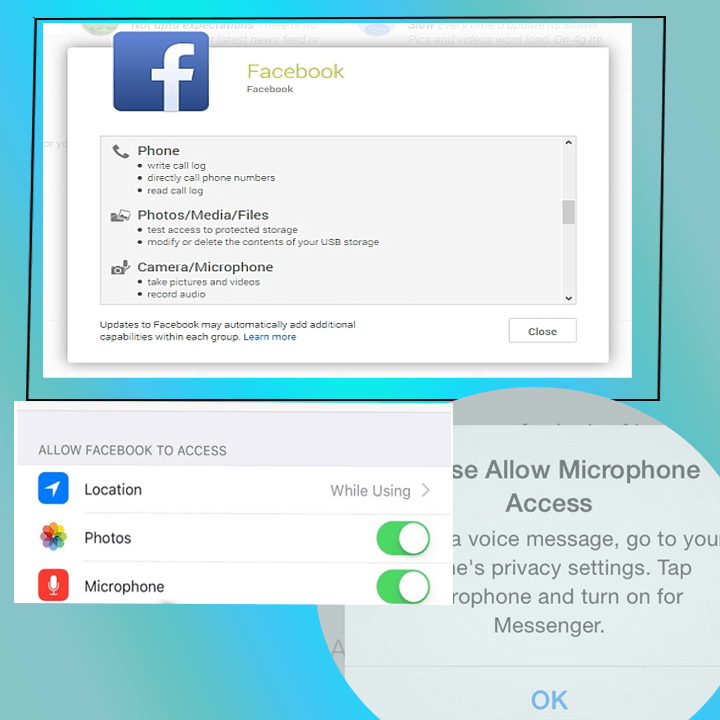 Here is how to you can turn off microphone access for both the android and iOS versions of Facebook application. Settings > Personal > Privacy and safety > App permissions > Microphone > Switch it to OFF. SEO Analyst and a part-time Content Writer.